ETH Zurich and the University of Zurich are founding a new translational research centre at the interface of medicine, science and engineering: the Wyss Translational Center Zurich. A USD 120 million donation from Dr. h.c. mult. Hansjörg Wyss to the two Zurich universities is making this possible. Through an interdisciplinary approach, the new centre aims to accelerate the development and application of innovative medical therapies and groundbreaking robotic systems. ETH Zurich and the University of Zurich (UZH) are taking their long-standing partnership to a new level with a new translational research centre. The two universities are founding the Wyss Translational Center Zurich (WTZ) with funds donated by Hansjörg Wyss to the ETH Zurich Foundation. The core idea and motivation behind the initiative is to ensure that knowledge from basic and pre-clinical research can be applied in practice more quickly; in other words, an efficient translation into new medical therapies and innovative products. The WTZ will initially include two technology platforms – one for regenerative medicine and the other for robotics. The centre will bridge disciplinary and institutional barriers and unite researchers across various disciplines, ranging from technology and medicine through to materials science, stem cell research and robotics. “Basic research in Switzerland is among the best in the world. However, it often takes a long time until the findings can be used to benefit patients. I want to help speed up this transfer with new models of interdisciplinary collaboration”, states Wyss, founder of the medical technology company Synthes Global and chairman of the Wyss Foundation. The USD 120 million donation is a basic endowment to establish and operate the WTZ for the first seven years. ETH Zurich and UZH will provide personnel and infrastructure in the new centre. On the basis of the two translational technology platforms – regenerative medicine and robotics – the WTZ will commence operations in 2015 with a starting portfolio of four translational projects: Zurich Life Matrix, Zurich Heart/Ventricular Assist Devices, Zurich Liver and Zurich Eye. More groundbreaking transfer projects will be added over time. “The generous donation from ETH alumni Hansjörg Wyss provides a fantastic opportunity to use the many different scientific competences and skills here in Zurich to develop new medical and robotics products,” says ETH President Ralph Eichler. The new research centre will be based at both ETH and the University of Zurich and will be co-directed by professors Roland Siegwart (ETH Zurich) and Simon P. Hoerstrup (UZH). “Combined with the excellent basic research at the University of Zurich and ETH’s proven strength in technology development, the Wyss Translational Center will allow our two institutions to assume a very strong position among the international competition,” states Michael O. Hengartner, rector of the University of Zurich. 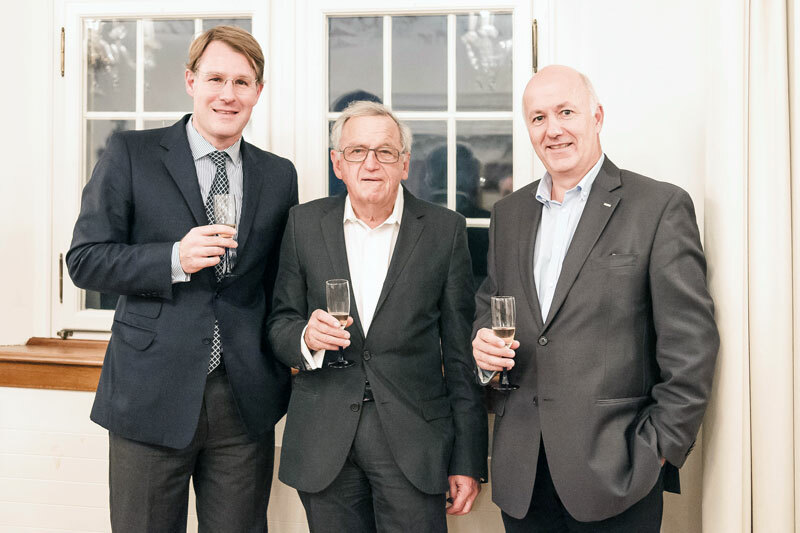 ETH Alumnus Hansjörg Wyss with the two WTZ Co-Directors , Prof. Roland Siegwart (right) and Prof. Simon P. Hoerstrup. Zurich Life Matrix: Development of in-vitro engineered human tissues that can regenerate and grow along with the organism. For example, scientists are growing blood vessels and heart valves in laboratories from human cells that can evolve in parallel with the heart (e.g. during the growth stages of a child) and have the capacity for self-repair. Existing solutions are usually of a non-living, prosthetic nature and, as a result, lead to complications that require surgical re-interventions often associated with substantial morbidity and mortality. Zurich Heart/Ventricular Assist Devices: Development of innovative heart support pumps (ventricular assist devices). Many people today suffer from life-threatening heart problems. Artificial heart pumps support the diseased failing heart allowing patients to enjoy a good quality of life in the long term despite the lack of suitable donor hearts. However, there is still much room for improvement related to the biocompatibility, control, ergonomics and size of existing heart support pumps. Zurich Liver: Development of innovative extra-corporeal perfusion systems. This will allow, for instance, a part of a patient’s liver to be grown outside the body and be transplanted back into the patient. This process would enable patients with serious liver diseases such as cancer to generate their own donor material and significantly decrease the demand for donor organs while increasing patient safety at the same time. The process could then be applied to allogenic transplantations and pave the way for one donor liver benefiting more than one patient. Zurich Eye: Development of a camera-based positioning system that automatically creates maps of the environment and enables precise positioning. This system is intended to help autonomous vehicles and aircrafts navigate independently in disaster operations, transport and agriculture, and support people in various tasks. This article originally appeared on ETH News.